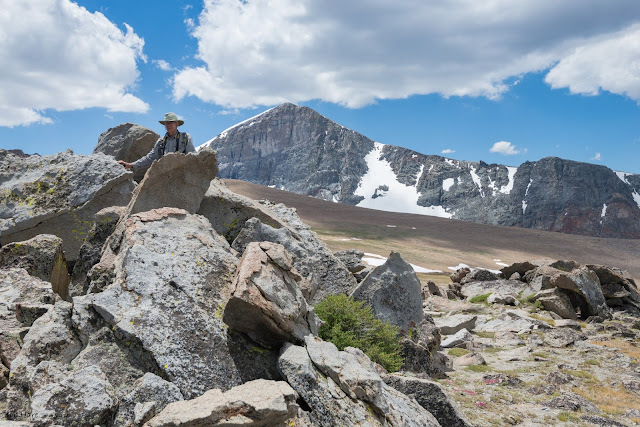 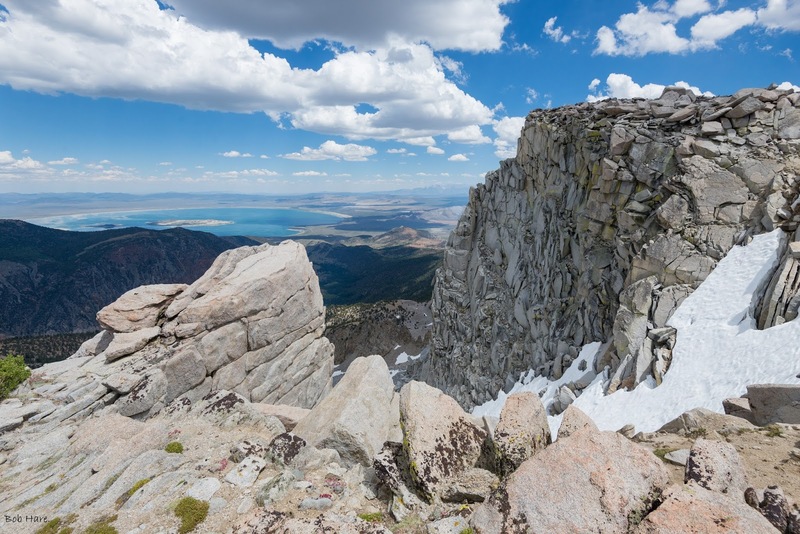 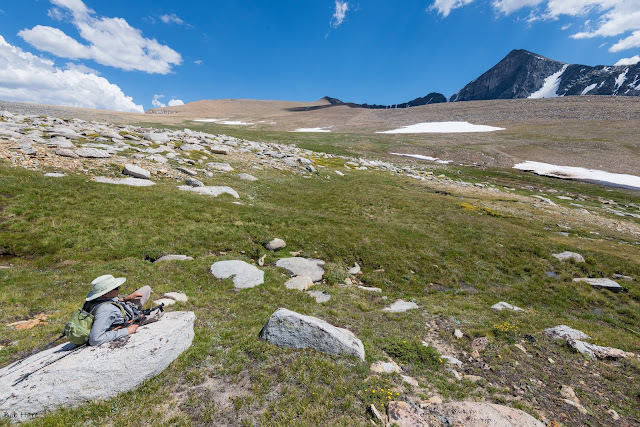 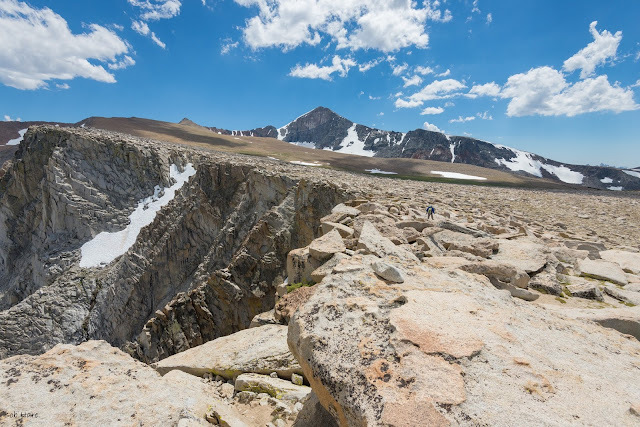 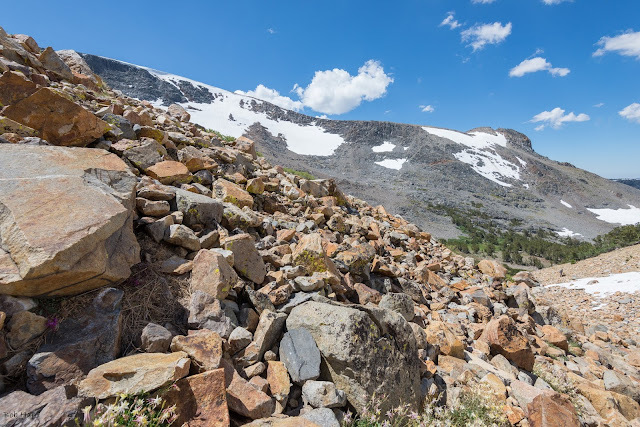 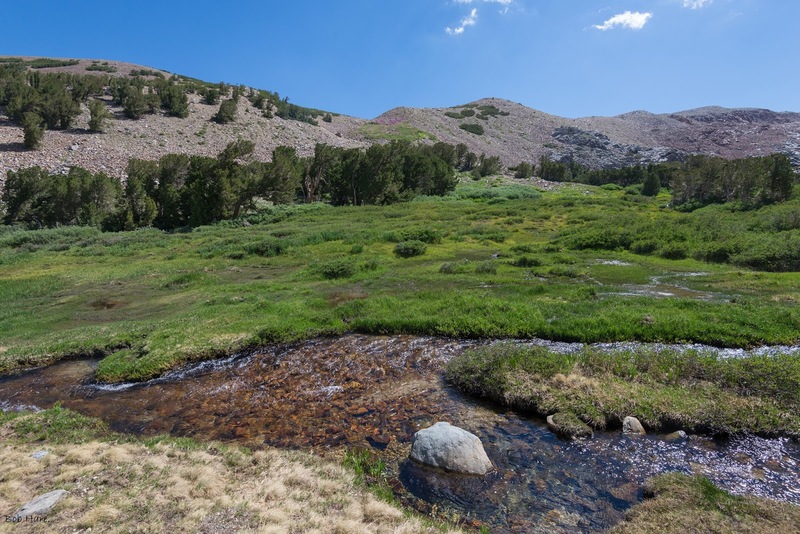 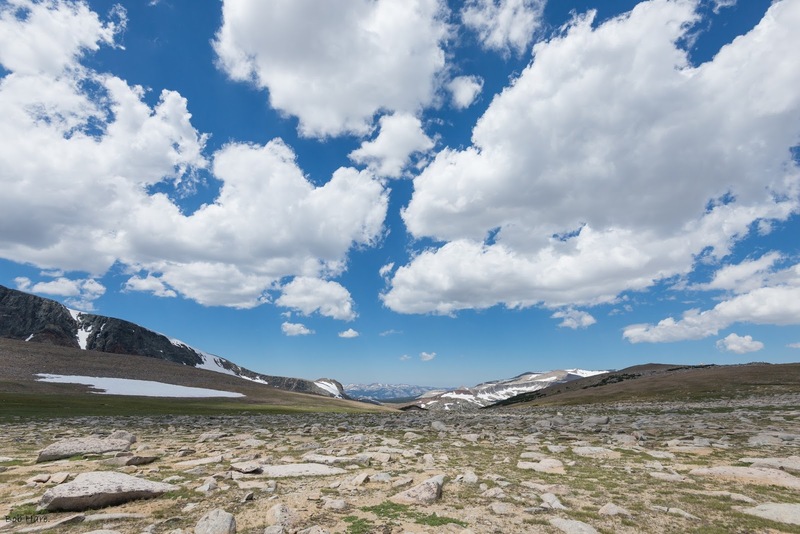 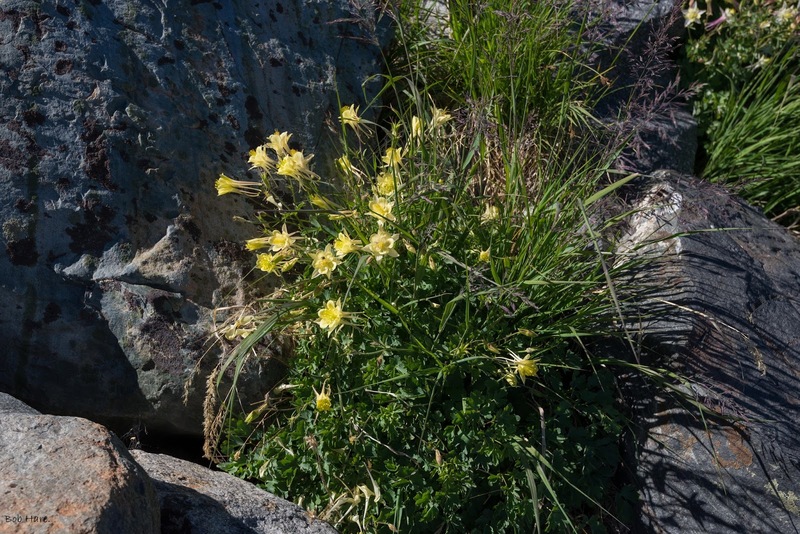 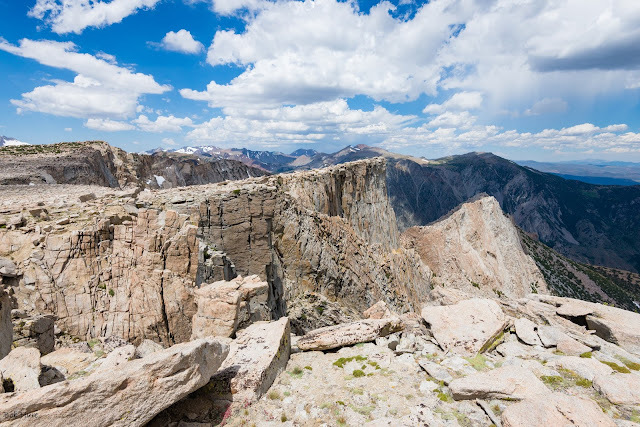 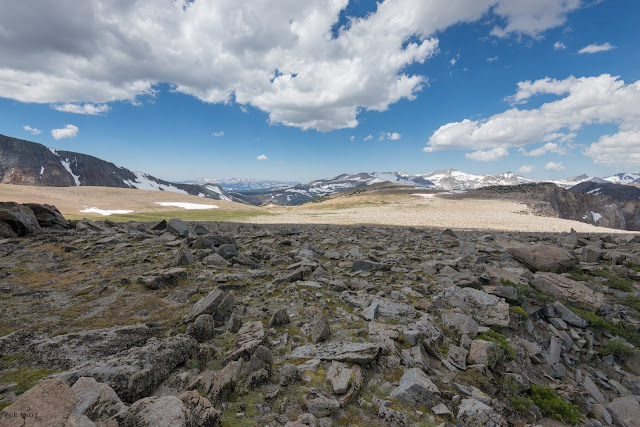 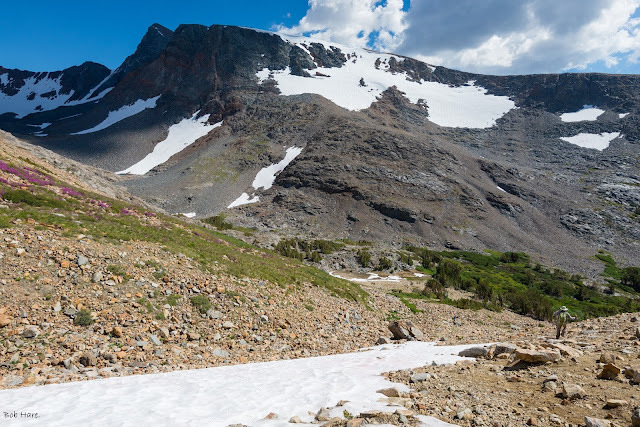 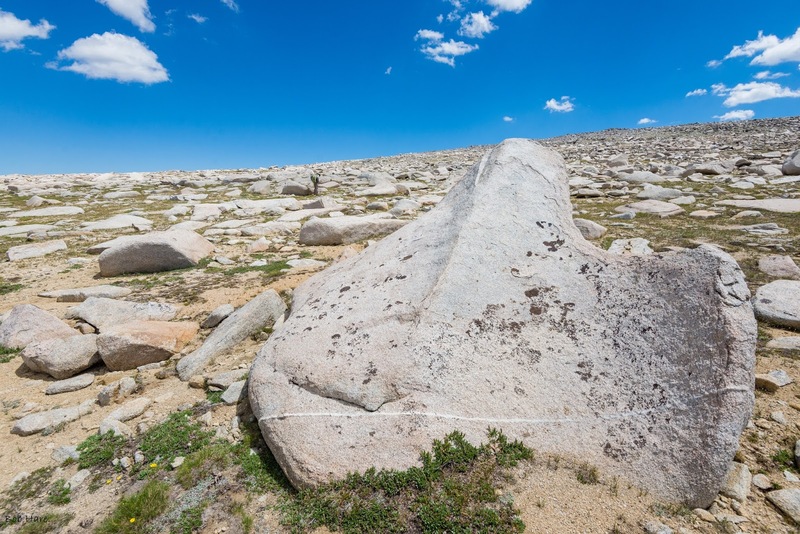 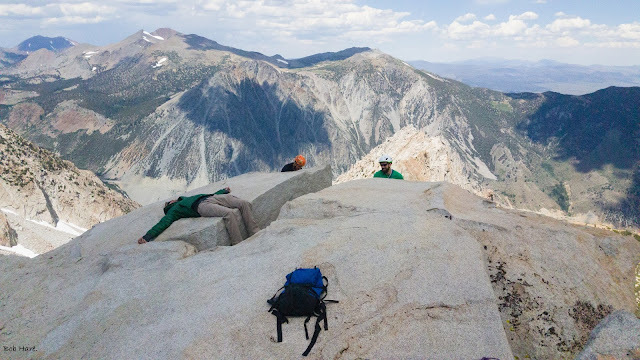 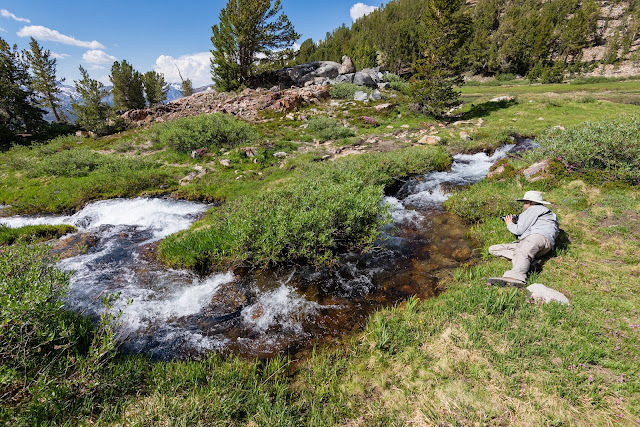 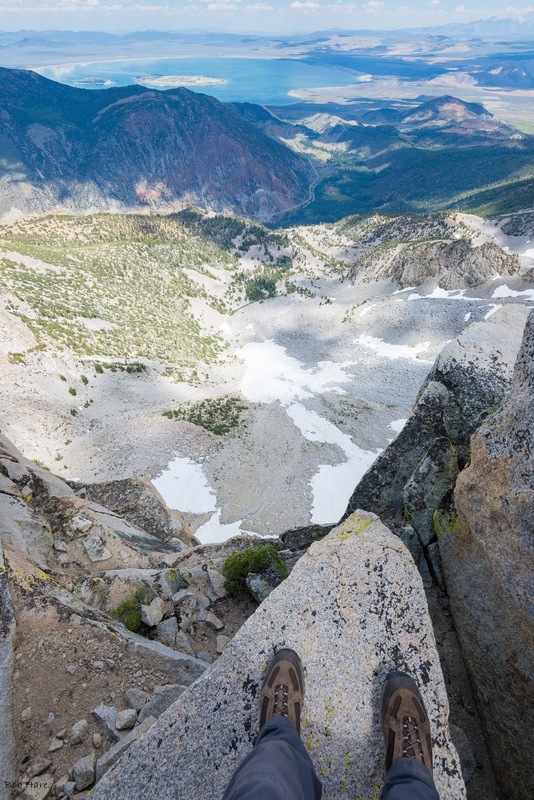 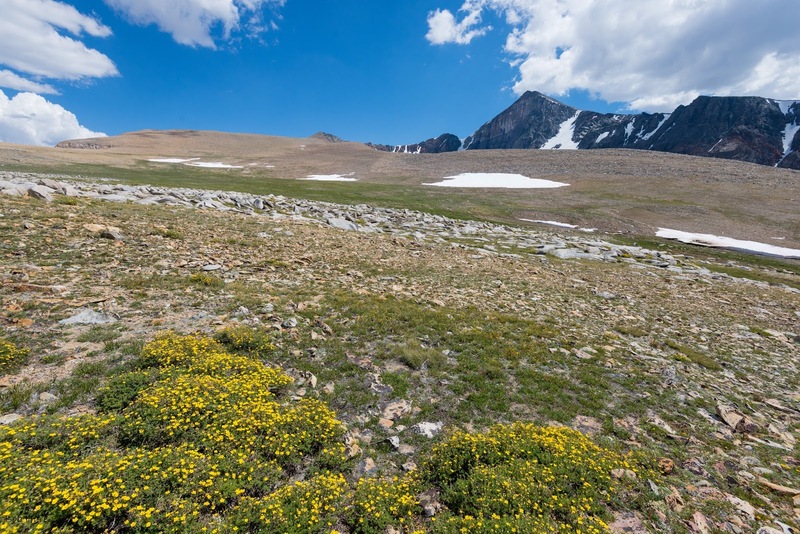 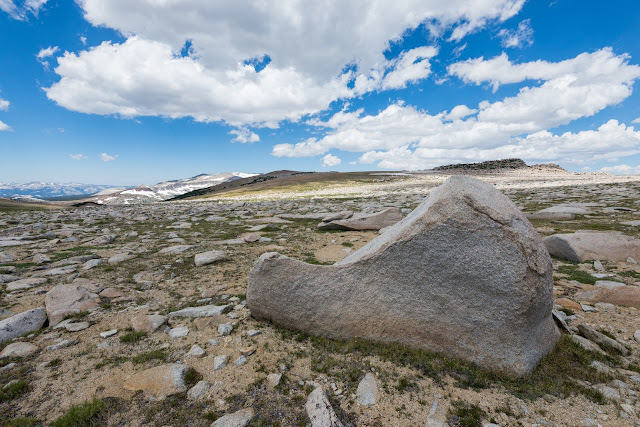 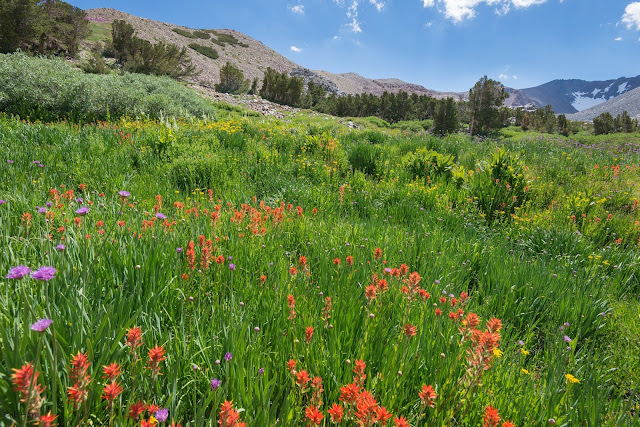 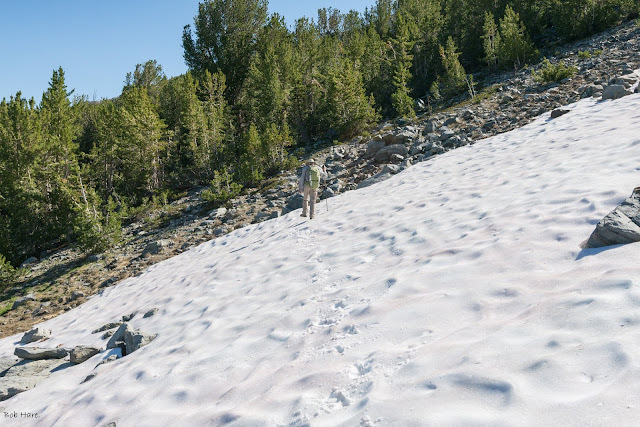 The Dana Plateau, which lies just east of the boundary of Yosemite at Tioga Pass, is a "Sky Island" that remained above the glaciers that sculpted most of Yosemite's uplands. 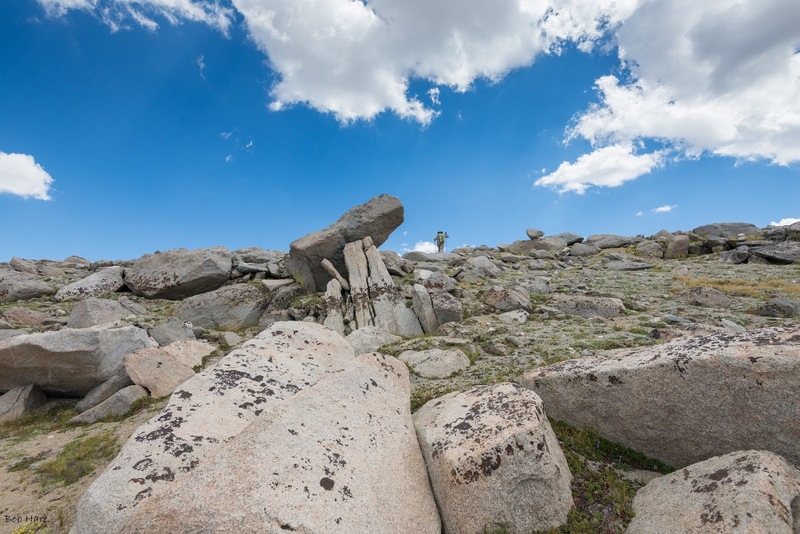 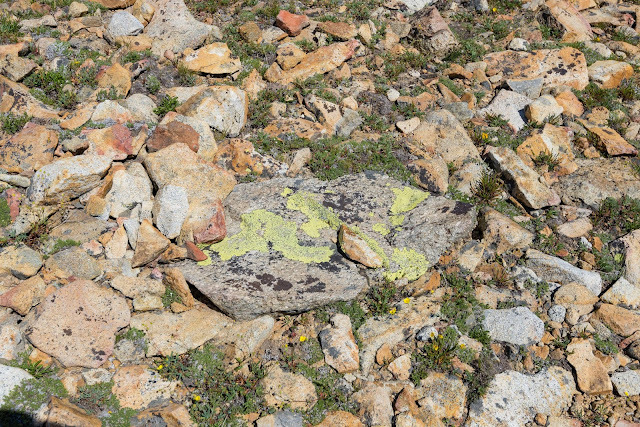 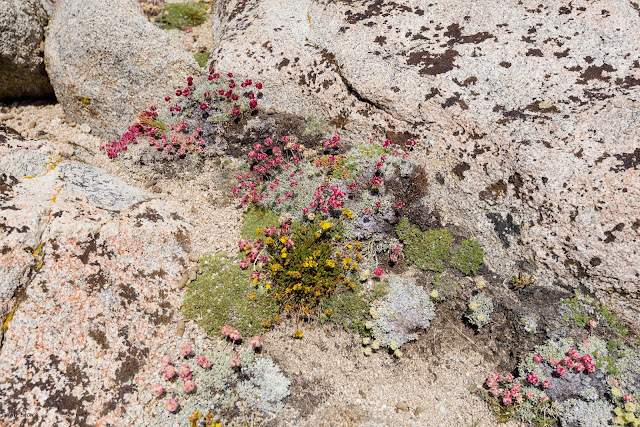 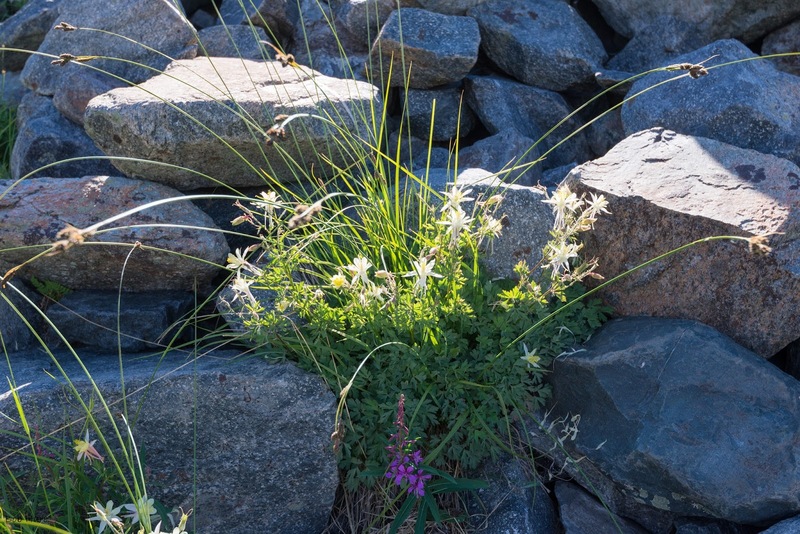 This is a windswept ancient landscape, known as a "roof pendant" that predates the rise of the Sierra Nevada. 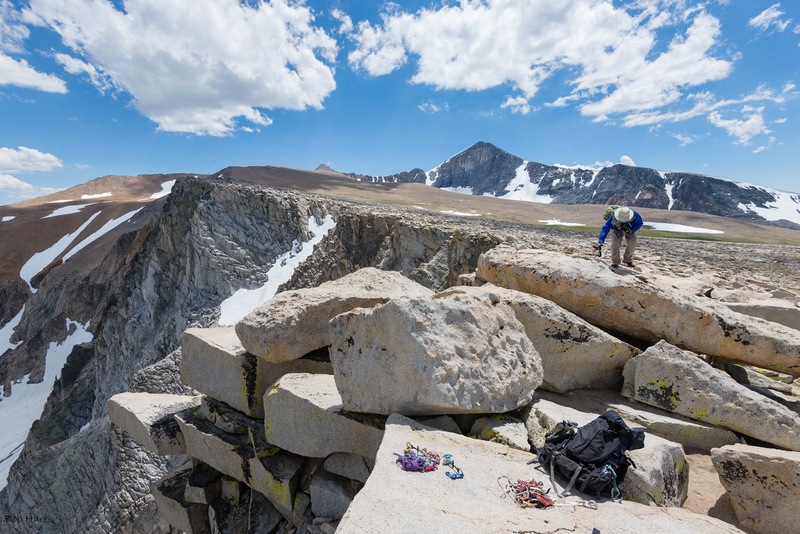 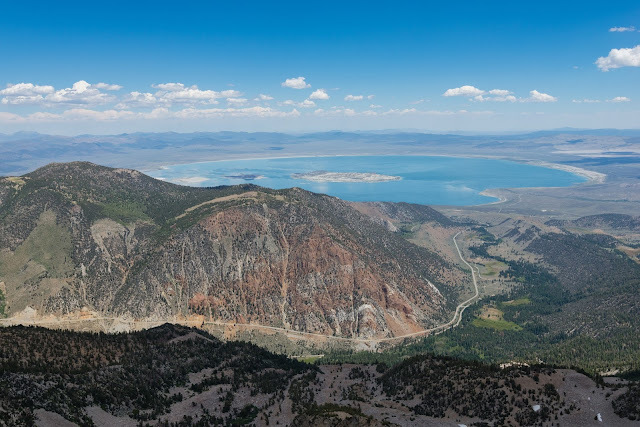 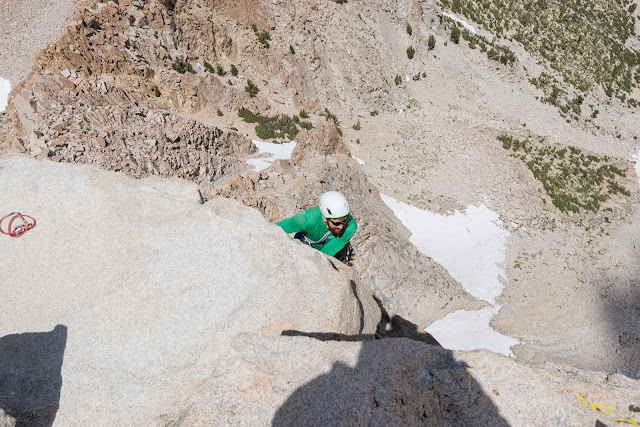 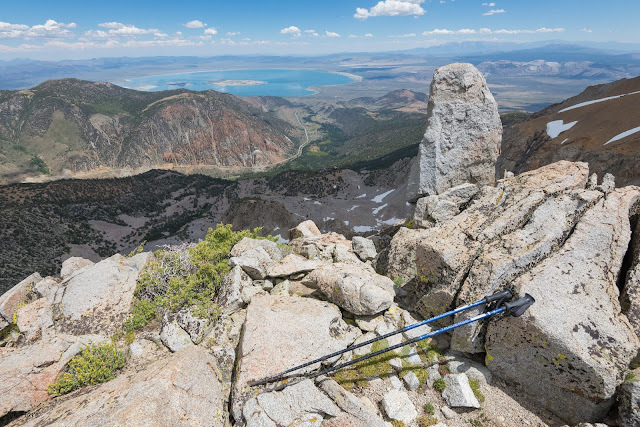 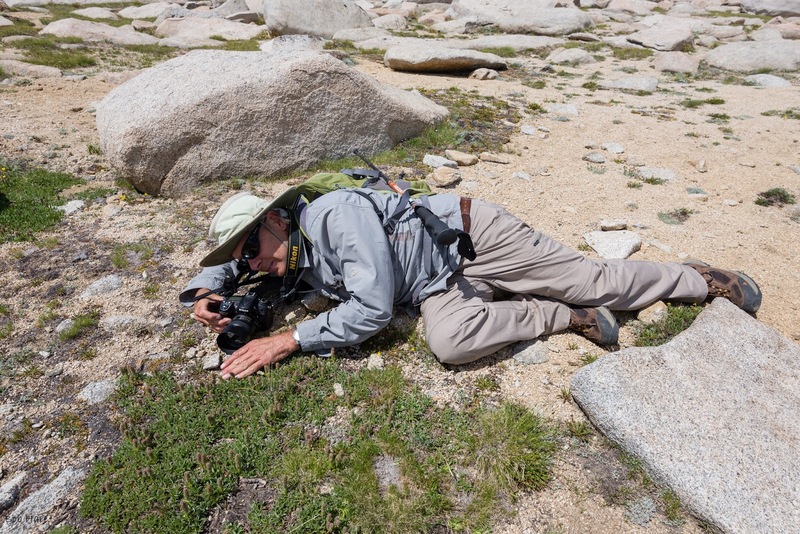 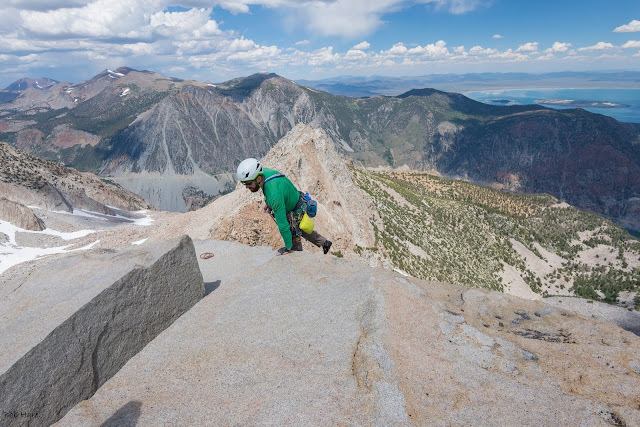 In late July 2017 with my friend David Witt, I fulfilled a forty-year-long dream of exploring this unique island in the sky and taking in its incredible views of Mount Dana, Tioga Pass, and Mono Lake. 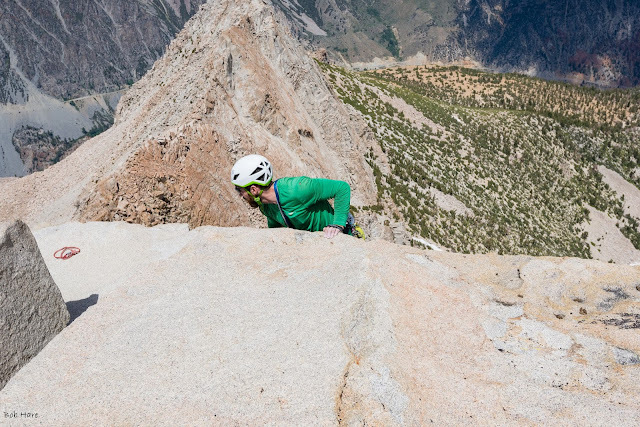 At our second overlook, Angel's Landing, we met some climbers who had just topped out from climbing the "Third Pillar of Dana." Enjoy these images of this fantastic alpine space in the sky. 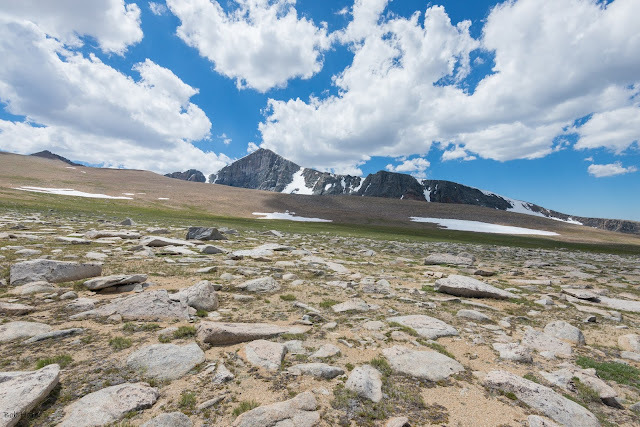 If you click an image you get a larger picture and can scroll through.